Eclipse magic workbook | QuantumPhoenix.net – Esoterica, Paganism & Ritual Magic. Eclipse Magic Workbook – e.Book- for £9.99 and prepare for 3 Eclipses! 3 Eclipses are coming, and dare you miss this stellar opportunity to do some life-changing magical work??!! There are 3 eclipses coming over the next 30 days!!! Partial Solar Eclipse on 13th July, Full lUnar Eclipse on 27th July, and another partial Solar Eclipse on 11th August!! Some magical works can be done with only 5 minutes of effort, and others take a few weeks or even a few months of preparation. But all create intense changes over longer periods of time in your life. Visit my Eclipse Magic Book page (here in my Quantum Phoenix blog site, for this exclusive limited time special offer and download your copy NOW at only £9.99). Manivannan Navasothy – Author, Visionary artist, Scientist, Astrologer & Eclipse Magician – talks about concepts and techniques of doing Eclipse magic. This video has real content that you can use to do eclipse magic straight away. 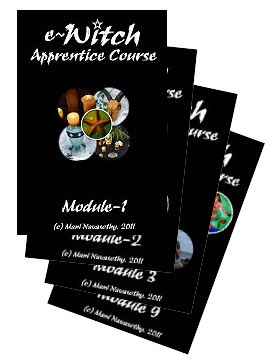 Would you like to get the Eclipse Magic Workbook, and start practising the magic immediately? No previous knowledge needed. All introductions are covered in earlier chapters, and you can then advance to more involved work in later chapters. As you know we’ve already had the penumbral Lunar Eclipse a week and a half ago, and the counterpart .. the Solar Eclipse will be occurring in a few days(Eclipses always occur in pairs, separated by 2 weeks). I’ve downloaded the detailed Eclipse-diagram of visibility / location data from NASA website (Eclipse diagram/data (c) Fred Espenak – link at the bottom). Annular Solar Eclipse is when the Moon eclipses the Sun (as viewed from Earth by us).. but moon does not fully cover the Sun. So at the greatest Eclipse, the Moon covers the central disc of the Sun..but there is a ring of Sun showing around it – the so called Ring of Fire. During the progress of this Eclipse (while its getting into the `greatest Eclipse’ position slowly..and also afterwards, there is also an effect called the Diamond Ring .. that can be seen on the edges of the moon.. (called Baily’s Beads- caused by light shining through valleys on the Moon’s surface). This happens around 13:16hrs UT, and for a duration of 1 min 22 seconds.. and will be visible only for those at South pacific ocean…off the coast of Chile! (Note: Although the Sun is Eclipsed for the longest at this point, it is not covered the most amount at this point. That happens later..but for a shorter duration). This is when the largest amount of the Sun is covered by the Moon.. and takes place at 14:53 hrs (Universal Time), and will be visible for 44 seconds, from a point in South Atlantic Ocean. 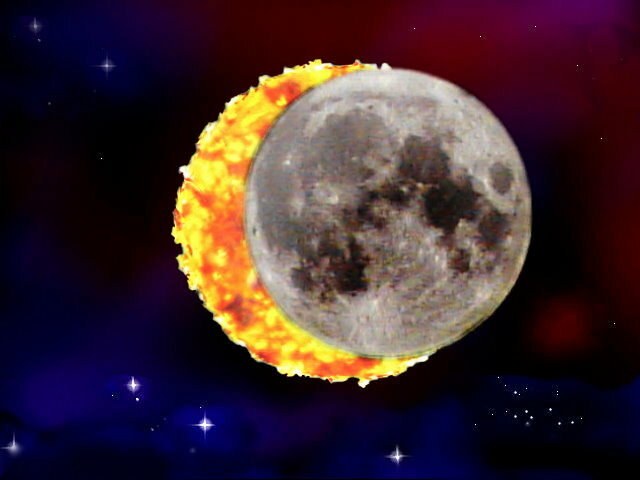 (note: sometimes the Greatest Eclipse happens for lesser duration). P1 : The Penumbral part of the eclipse will be first visible at 12:10hrs UT (seen from South pacific ocean…off the coast of Chile as Sun rises for them locally). 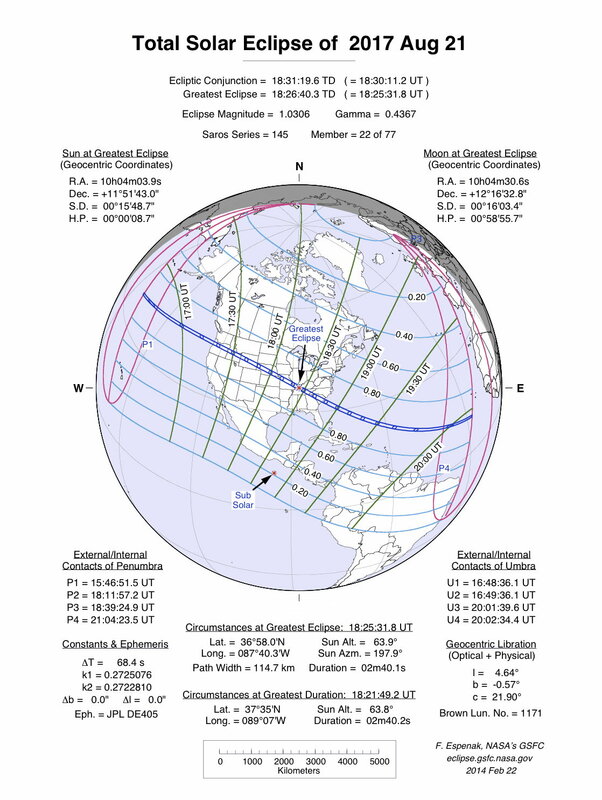 Below, for those interested in scientific notations and wanting to learn, is an annotated diagram showing sections where the Eclipse Data can be obtained. All annotations (c) Mani Navasothy) . I’ll be adding a general astrological chart (drawn for the moment of greatest Eclipse and it’s location) later. (going to take a bit of work) . ps. If you are interested in doing Esoteric / ritual magical work / energy work, during the Eclipses, I have written a workbook (probably the world’s first book on Eclipse Magic). here’s the link to buying it. The Eclipses are coming! Are you ready for the deeper magical work and to stellar engineer your lives? Well, let me kick this off with a basic infographics, showing the times/ dates and types of eclipses that will be occurring in March 2016 and September 2016. 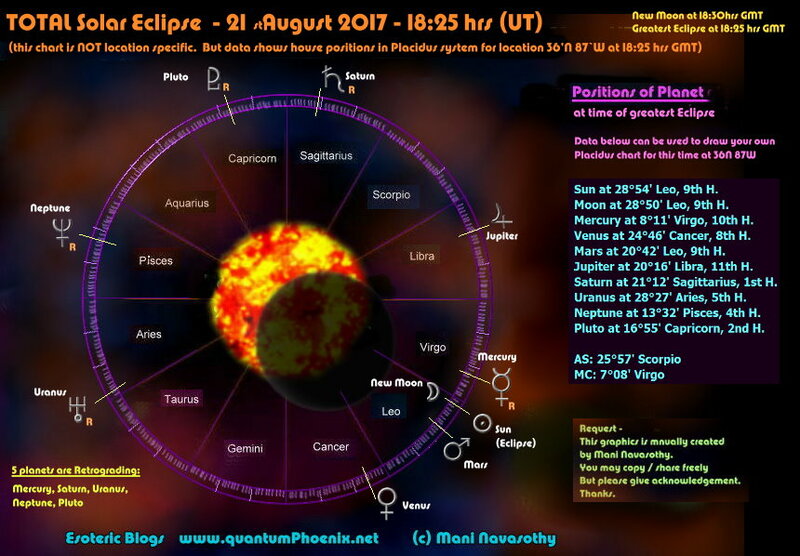 I’ll be collating and sharing (blogging) astronomy graphics, animations, as well as my own astrology charts for the date/time of each Eclipse ..(check my blog http://www.QuantumPhoenix.net over the next few days/ weeks). Just to clarify- We’re about to have a Solar Eclipse within the next 24 hours (just after midnight in UK on Friday ).. where the `new moon’ will be blocking out the Sun..but not fully. The moon is relatively `smaller’ than the Sun this time ..so a ring of fire of the edge of the Sun will be visible.. (not to be seen by naked eye for safety reasons ofcourse). Although this one (in Taurus) can not be seen by people in some parts of the World, it’s long term influence will be upon everyone.. This by the way is the 2nd of the traditional Eclipse pair – that is to say, we have already had a lunar eclipse 2 weeks ago so here is the Solar Eclipse. BUT here’s the big think.. we will be having another (Penumbral) Lunar Eclipse in another 2 weeks time.. Penumbral.. but still an Eclipse of the (Sagittarian) full moon..on 25th May.. So You can start some magical works now..(10th May) .and carry it to conclusion on the 25th May.. So go on.. Stellar Engineer your life.. ! ps. There is one sting in the tail.. the 3rd wave of that Pluto-Square-Uranus is coming in a week or so.. I’ll write about that later..(It takes place between this solar and the next lunar eclipse.. And the same will happen later in the year between the next Eclipse-pair in October-November 2013). Some may know that I am rather partial to Eclipses, and do quite a bit of personal esoteric/ magical works at times of Eclipses. I’ve written a book about this (Eclipse Magic Workbook, published May 2012, . 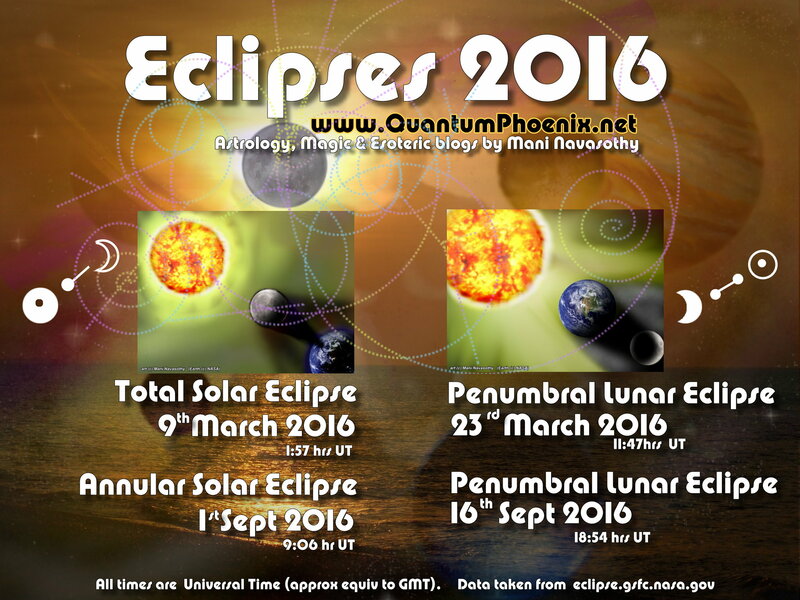 10th May’13 – Annular Solar Eclipse. 19′ Taurus. 25th May’13 – Annular Lunar Eclipse. 4′ Sagittarius. 18th October’13 – Annular Lunar Eclipse. 25′ Aries. 3rd Nov’13. Solar Eclipse. 11′ Scorpio. Pluto (in Capricorn) has been going retrograde and finally stands still (stationary) before beginning to inch forward. This cosmic gere change is going to be intense and jarring. Smallest things can set people off..into biggest explosions. But as it’s a stationary-direct motion, it’s a brilliant time to do the `re-birth’, assuming people have been going through the `death’ (symbolically) already.. for Pluto rules death-rebirth and transformations. Okay this is ultra dangerous! The bit I just said about pluto energy..smallest thing exploring.. well, this is what provides the fuel..or rather lights the fuse..or both! Uranus rules sudden activities, shocks, changes, disruptions..as well as rebellious inclinations. It’s squaring Pluto. This is predominantly the most disruptive force that can come close to the whole `end of the world’ triggers. Thankfully we are not at war..and no one (to our knowledge) has their finger on nuclear buttons..
27th sept: Mars Squares Venus. 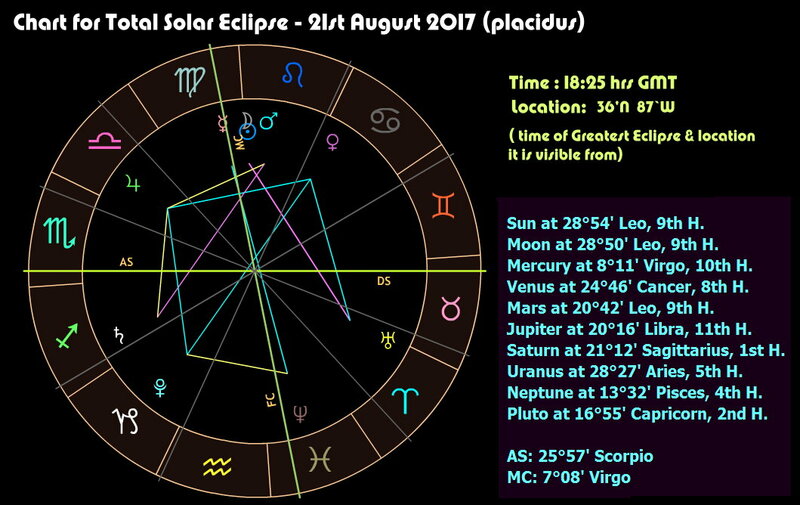 29th Sept: Sun opposes Uranus & Sun squares pluto. It’s as if the battle comes home! No where to run.. This is going to hit you, your vitality, health or energies. Play it well, and resolve issues, and this has the potential to release huge energies within you…which you can tap for going forward. Miss the resolutions, and you may have to wait for the next such opportunity…and getting both together is not going to happen in many years. So be a Lion.. Fight the demons from the dark.. and free your self first..before rescuing the princess from some tower! ps. There’s going to be a pair of Solar & Lunar Eclipse in November’12.. and I’ll be releasing my `Eclipse magic workbook’ in kindle soon with extra helpful webinars & videos (free). If you can;t wait, you can get the pdf version NOW pls check out www.Eclipsemagic.co.uk Ta. 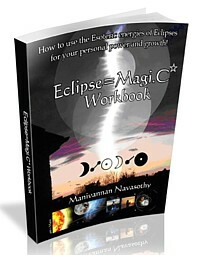 Eclipse Magic Workbook – by Mani Navasothy. Stellar Engineer your life!